Installation: 3 video projections, 3 DVD players, sound equipment, glass, wood, paint, foam board, Xerox copies, DVD loops: 11 min., 11 min., and 31min. Esplanada and the Cross is part of the larger body of work American Pain. 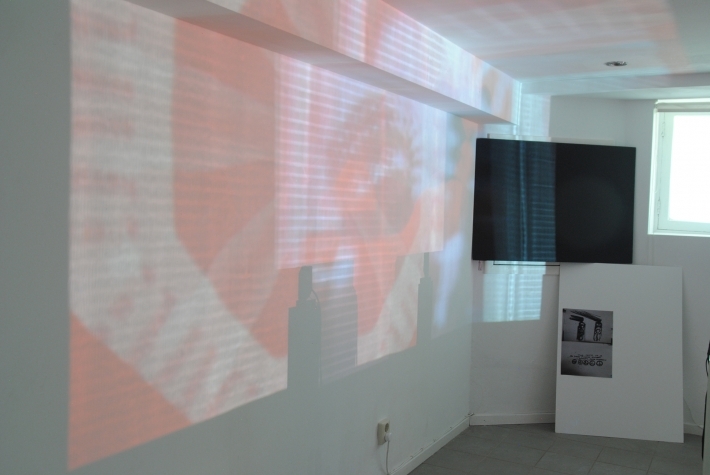 Three video projections show fragments of a performance by Gartz in a rundown American hotel room. 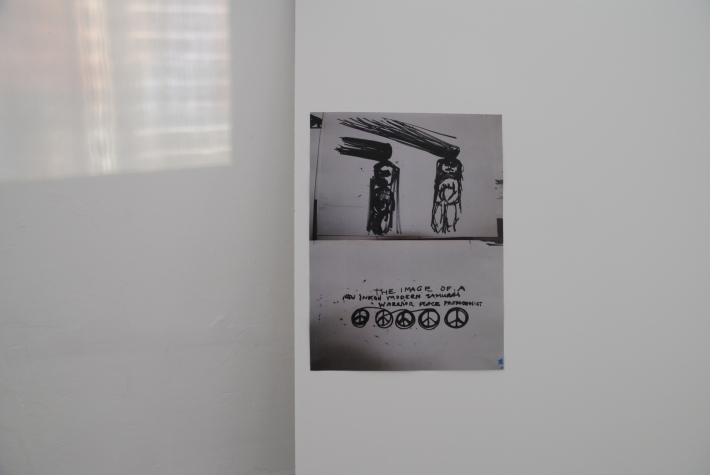 These are superimposed onto a collage of magazine clippings from Gartz’s own archive of material related to America, as well as fragments from her drawings made in New York in 2009. A third video layer contains a depiction of the murdered body of Abel painted by 19th century American luminist painter Thomas Cole. The black and white reproduction of the biblical story (Kain and Abel) is overlayed onto Gartz’s own body, which is bathed in red light. This piece is a triptych. 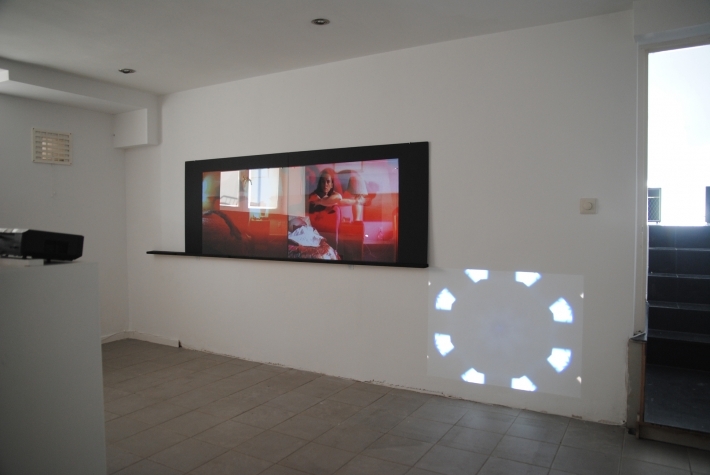 Although the ‘display’ on the wall has a flatscreen-look, the projection surface is actually made from paper, wood, and glass. 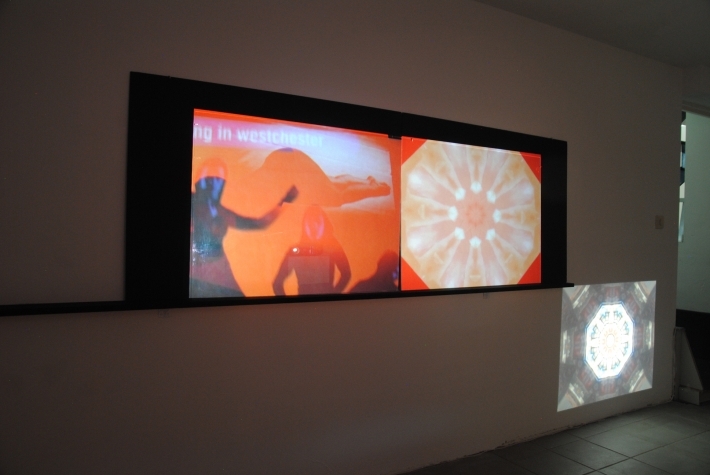 The videos are projected onto the glass, which reflects the moving images back onto the viewer and the wall behind them. 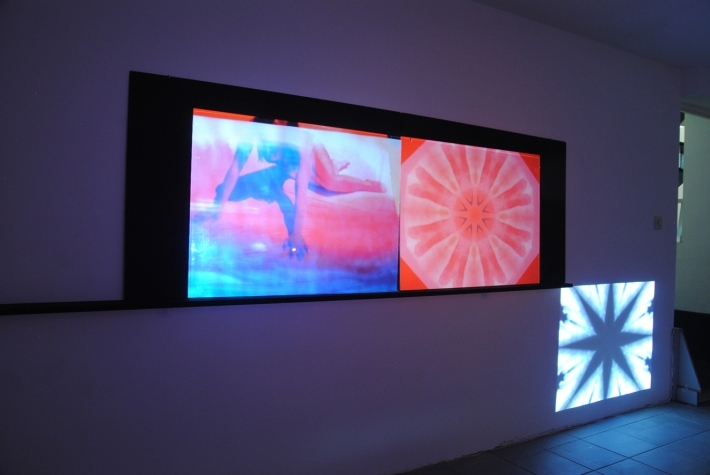 The viewer stands in the middle of a hypnotizing and dazzling experience, as if standing in a feedback loop. The videos are all sped up and the haunting rhythm and tones of Whalen’s synthesizer soundtrack accentuates the accelerated pace of imagery.